Lucas Flynn and Tess Branson are not your typical golden boy and golden girl. She has a bad reputation and he is an ex-con. They both work at the same diner. Lucas is a very sweet guy and he sees a great girl in Tess. This is a very short story only 44 pages long but it was very sweet and enjoyable. I loved that the author took two people that are just ordinary and gave them a very touching love story. I felt bad for Tess and thought Lucas brought out the best in her and helped her to see how great she really is. I have read another story from this other and find her originality very refreshing. This is a great read! 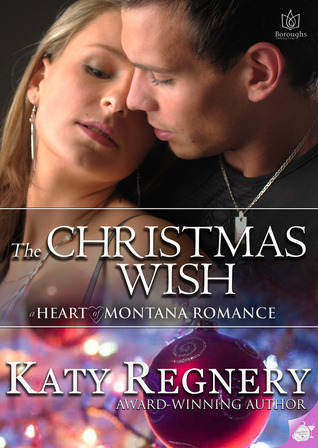 This is the first I ready by Katy Regnery. 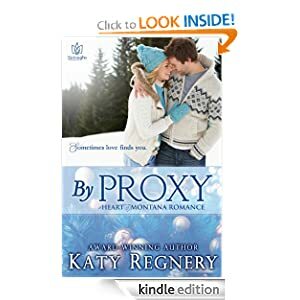 Ms Regnery presented two characters brought together by very unusual circumstances. Jenny Lindstrom is a proxy for one of her dearest friends. Sam Kelley is from Chicago but travels to Montana to stand in for his good friend as well. Both Sam and Jenny are proxies. First, I really liked the creative storyline. These are two very different people brought together because they are doing a favor for their mutual friends. Jenny and Sam have very different life’s. Jenny lives in a small town in Montana and Sam is from Chicago. Although they are mutually drawn to each other they realize that their relationship could never work. Sam starts to explore his feelings for Jenny the more time he spends with her. He realizes that she is nothing like his past relationships. Jenny is shocked into reality when he calls her “bitter”. She realizes that she does not make the best impression on Sam at their first meeting. 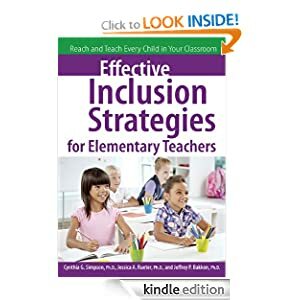 Effective Inclusion Strategies for Elementary Teachers by Cynthia G. Simpson, Ph.D, Jessica A. Reuter, Ph.D and Jeffrey P. Bakken, Ph.D. This is a great resource for Elementary school teachers. I am a teacher and also certified in ESE (Exceptional Student Education) also known as Special Ed. This book provided a wealthy of information. The information is clearly laid out and very easy to follow. My favorite part is the section labeled “applying the strategies”. The book also provides case studies to show the examples of some of the challenges that students face. There is a very clear and thorough explanation of the inclusive classroom and explanation of current educational laws. Another section that I really liked was Chapter 12 Technology for Students With Disabilities. This chapter shows how different technological programs can help with different learning challenges. These challenges range physical to emotional. I highly recommend this book. 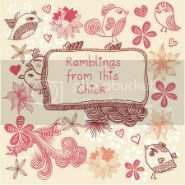 My honest review is that I LOVED THIS BOOK! I can’t believe that I never read Elizabeth Hoyt before. After reading The Duke of Midnight I put Hoyt’s copies on hold at the library. First, I loved that the mystery of the Ghost of St. Giles did not drag out throughout the story. The heroine, Artemis was very quick to figure out who the Ghost of St. Giles was and it was not a big secret between the heroine and hero. Maximus Batten is an interesting character. He reminded me of a “batman” type hero. He is looking to avenge the death of his parents and at night moonlights as the Ghost of St. Giles. Artemis is a very strong female character-which I love! Although she is her cousin’s companion she speaks up for herself and has no hesitation speaking her mind even if it means speaking up for herself or her twin- Apollo. Hoyt’s naming of characters was very unique and she played with the story of Artemis/ Diana/ huntress of the night very well. She entertained these images throughout the story. Maximus seems just that, very strong and focused. He is very loyal to his duties and is also driven by the guilt surrounding the death of his family. The supporting characters also helped to build the story. They either showed how Artemis position was viewed in their society or how different Artemis was from other ladies in society. Apollo was a very fascinating character and I cannot wait what Ms. Hoyt has planned for him! He was obviously falsely accused of killing three men and because of this he is thrown into Bedlam. Hoyt painted a very eerie and scary view of this “hospital”. My only hang up was that Artemis did betray her cousin-Lady Penelope. Lady Penelope was very flighty and shallow but Artemis knew that Maximus was courting her despite this she had absolutely no problem sleeping with him. I highly recommend this book. It is full of adventure, action and romance! This book was a two star (ok) for me. First, I loved Sarah Krisch’s writing. She drew me in completely. She had a great plot and very creative scenes. The characters were unique and quirky. What I did not like was Julia… She was so obnoxious… I really tried to give her the benefit of the doubt but it was hard to feel any sympathy for her. She was very superficial and a fake… I get that she is an actress and she made this blog and persona… but her “real” personality was lacking. 1) She basically steals her grandmothers’ ideas and blogs about them. She never gives her any credit. Ironically, she goes back to the farm and ask her grandparents to lie on her behalf. She is angry that Brad is living in the guest house. 2) She has an instant dislike for Derrick… because…? He works on her grandparents’ farm and helps them out? Or because he is staying in the guest house? I found Julia to be very immature and could not connect to how frivolous she was. 3) She has conversation with a developer and in that conversations SHE decides that her grandparents have to sell the farm…. Because…? They are old?? Brad I really liked. I liked that the other gave him many layers. He had his demons to work through and it was very endearing how he helped out Julia’s grandparents. Ethan the “husband” was so annoying he was more childlike than his real son. I could not deal with how annoying he was. I also found it very disturbing that Jaime (her fake son) called her “mom”. Despite my little hang-ups. I thought that the author was very talented and would definitely read something by her again.